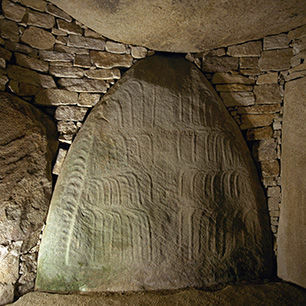 In the Finistère department, discover the Barnenez cairn, the largest megalithic mausoleum in Europe. Master builders. 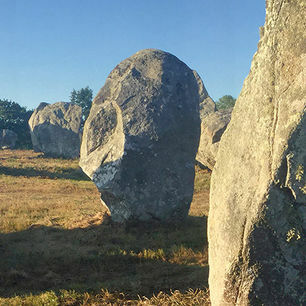 Two sorts of vaulting are used in these tombs, either flat stones as used in traditional dolmens or ‘false’ rounded domes made from a clever arrangement of small flat stones. The cairn was built in the Neolithic period (4500 to 3500 BC) when sedentary farming communities first emerged. A ‘rediscovered’ site. It was identified as a "tumulus" (man-made earth mound) in 1850, but rediscovered in 1955 when it was being used as a quarry. 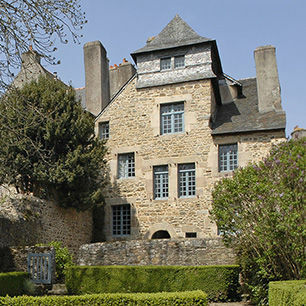 From 1955 to 1968 excavation and consolidation work was carried out, and this enormous mound of stones regained its original appearance.